I have found the discussions and lesson feedback on materials-light lessons very interesting and useful. The Wandrous Whiteboard challenge has inspired many teachers. Karenne has unwittingly been involved in a number of tête-à-têtes, with Willy at Authentic Teaching and Diarmuid at Tao Te(a)Ching. Both David at Reflections of a Teacher and Learner and most recently Nick at Turklish TEFL raise an interesting point, the crux of the Dogme issue it seems to me. They argue that materials-light lessons are not necessarily Dogme lessons, while teachers using a coursebook can still unplug their teaching at different stages during the lesson. I mention this as it seems to be important to many, if not all teachers, and I have read comments about being tied to a coursebook but wanting to escape somehow. I’d like to present a favourite activity of EFL, which takes a bit of nerve to try out at first, but which is definitely worth it! It’s a Guided Visualisation. Just quickly, there is a very funny talk by Sir Ken Robinson. He is talking primarily about teaching children in schools, not EFL, but I feel the point he makes applies equally well in this context. The tenet is that literacy and creativity must be taught together whereas currently, creativity is stifled in many schools where exam results take precedence. Where I see the connection is that I understand Dogme theory to be essentially about trying to create optimal conditions, with plenty of affordances, where learners, adults in many cases, are in a childlike state of wonderment with the world and everything in it, and want to talk about what they are having for dinner later, or why they like the colour green, or who they would rather be with at this particular moment (Teaching Unplugged, p.47 “Where I’d rather be”). So, there’s a reading text in an EFL book about the Sultan of Brunei’s house. The Sultan is, or was maybe, the richest man in the world, and as one would expect of the richest man in the world, his house is rather opulent. And you are going to read the text about it, and then answer the questions. But before that, imagine…close your eyes if you feel comfortable doing so, imagine you’ve been invited to this house. You can look around the richest man in the world’s house! You arrive at the front gates. What do they look like? Are they big? Strong? Can you see through them? How high are they? You walk inside, into the garden. Stop and look around. Take a deep breath. What can you see? Trees? Flowers? What do they smell like? Can you hear anything? Birds? Animals? What do they sound like? You walk up to the front door. Touch it. Feel it. What does it feel like? And finally you enter the house. What is the room? Is it a hall? How big is it? What does it look like? Is there a carpet? Or is it a wooden floor? You choose a door and go through. Where does it lead to? As the trainer said, and as has happened every single time I’ve done a guided visualisation, by building up the story, but not letting your learners talk too soon, when you do eventually say “OK, tell your partner everything!”, they can’t contain themselves. There’s just too much to say! And the number of follow-on activities, you can imagine, is enormous. What can’t you do with so much imagery in every learner’s head? I have to say I really like the way you layout and write your posts! The reader really gets a feel of being in your classroom. Great idea with visualisation (although I couldn’t close my eyes while reading :P). This is one of those cases when teacher talk is a good thing! Thanks David. Yes, I agree, TTT can be good, I think, if the teacher is always willing (well, this story is an exception) to let the learners take over. My friend Alan Tait, who read the blogs and occasionally comments, once taught me some Spanish by telling me the story of Goldilocks during a car journey somewhere. I listened and copied, but TTT was very high and wanted. 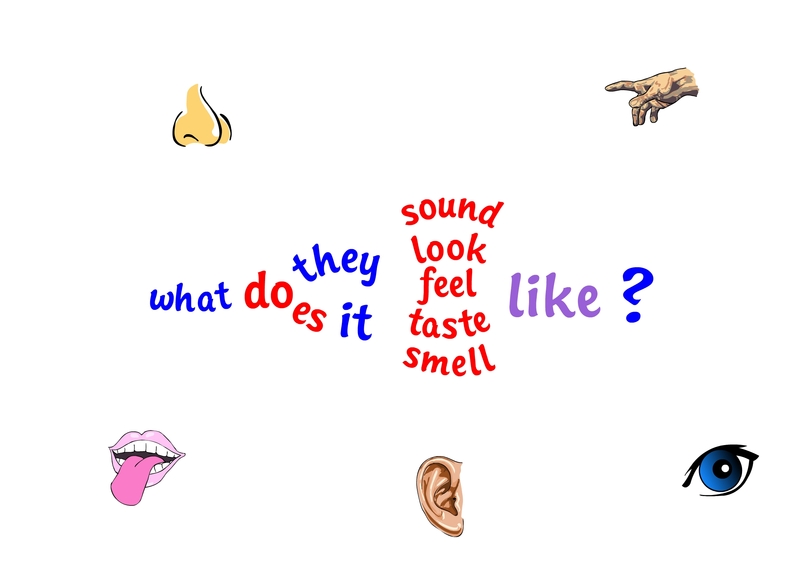 I first learned about guided visualisations many years ago on an introductory wekend TEFL course run by Jim Wingate. Since then I have used it many times with young learners. Sometimes it’s to have the learners practise a specific verb tense (through time travel) others it’s to give them something to talk about. With very low level I have got them to draw and label pictures. I remember actually being taken through a visualisation myself at school in English, which led on to a piece of creative writing. Being a visual person myself, I found it quite inspiring. 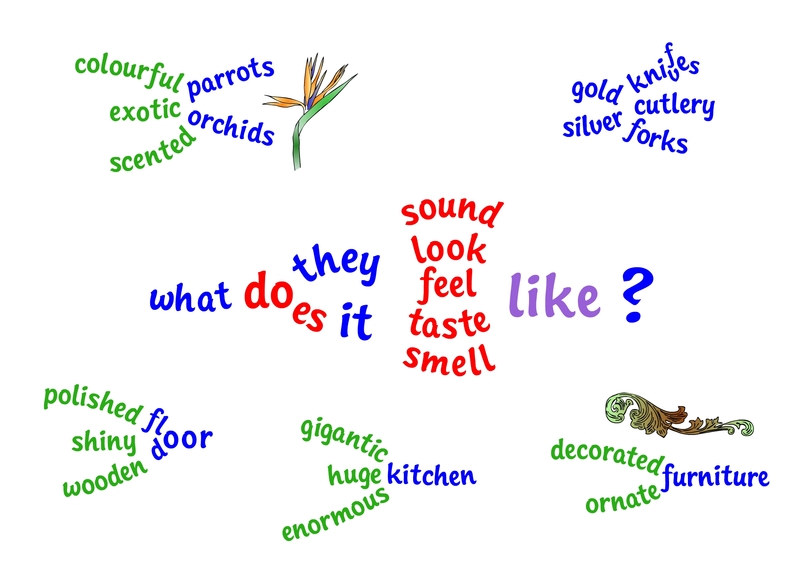 Bringing in elements such as sounds and smells allows this kind of experience to work with almost any kind of learner. We could also allow learners to stand up and move around if they want to. I think that the guided visualisation is an invaluable tool to have in your mental toolbox. Hi Michelle, moving around is a great idea, thanks. I will add that to them. I’ll go with Michelle and almost don’t need to comment except to concur – am also visual and also mainly a creative writer (although that’s all disappearing into the blog…oops) and love doing visualizations with students! You’ve reminded me to write another materials-light lesson! This crazy challenge and seeing all the great responses is teaching me so much and inspiring me and jogging my memory!!! Love your vocab trees so much! Thanks Karenne, enjoying your challenges and the responses people give very much. You are currently reading Sense and memorability at language garden.